Safety Sustainability - CSSE - Tavares Group Consulting Inc. 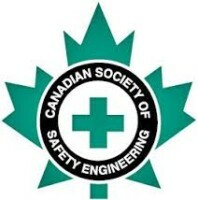 In the Spring of 2015, Tavares Group Consulting Inc. was engaged by the Canadian Society of Safety Engineering (CSSE) to undertake a substantial safety sustainability project resulting from CSSE’s first annual Business Leaders’ Summit held in September 2014. The aim of the project was to develop a strategy and action plan to solidify the integration of safety into the larger sustainability movement. 1. “Building the Sustainability Business Case for Safety Practitioners, which strengthens the relationship between safety and sustainability and supports the CSSE’s membership to influence senior leadership and gain support for safety initiatives that augment an organization’s sustainability. 2. The “Sustainability Guide for Safety Practitioners” and the “CSSE Action Plan and Assessment Tool”, based on the Sustainability Toolkit’s 13-step approach to sustainability implementation and management, which provides guidance and a planning and assessment tool that safety practitioners can use within their organizations. Together, this suite of tools identifies the drivers of, and makes the business case for safety sustainability, in addition to helping practitioners integrate safety sustainability into leadership planning, broader business evaluation, and decision-making. The project culminated in the presentation of the final deliverables at CSSE’s Professional Development Conference in September 2015 (see our blog for details). At Tavares Group Consulting, we assist organizations of various sizes from a wide range of sectors achieve their sustainability goals. Our sustainability services range from identifying and prioritising risk, defining material metrics, developing and implementing formal programs, verifying and reporting program results. Let us assist you in creating innovative and proactive solutions to societal and environmental challenges, as well as establish stakeholder programs with the goal of improving performance. Contact us today!